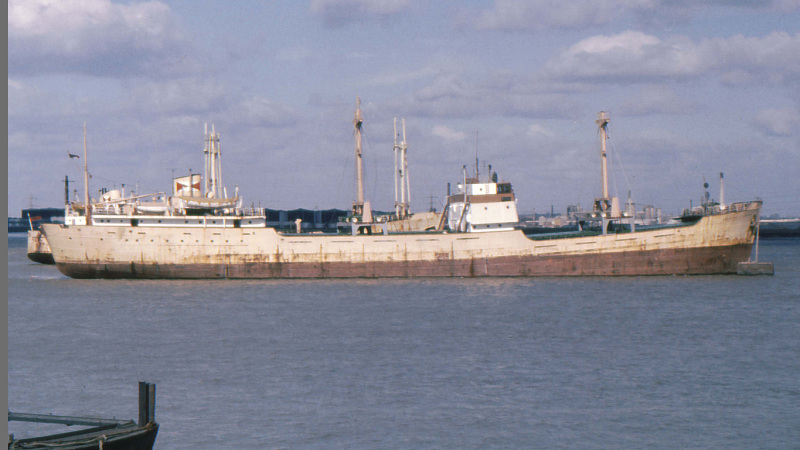 Built 1955 by Goole Shipbuilding & Repairing Co Ltd, Goole. Yard no. 489. Main engine: six-cylinder, two-stroke Newbury Diesel "P" Mk 1 of 1,600 bhp. Speed: 10knots. 1978- MYASSA (Lebanon flag); 1980-MYASSAR. 1985-to breakers at Tripoli, Lebanon.